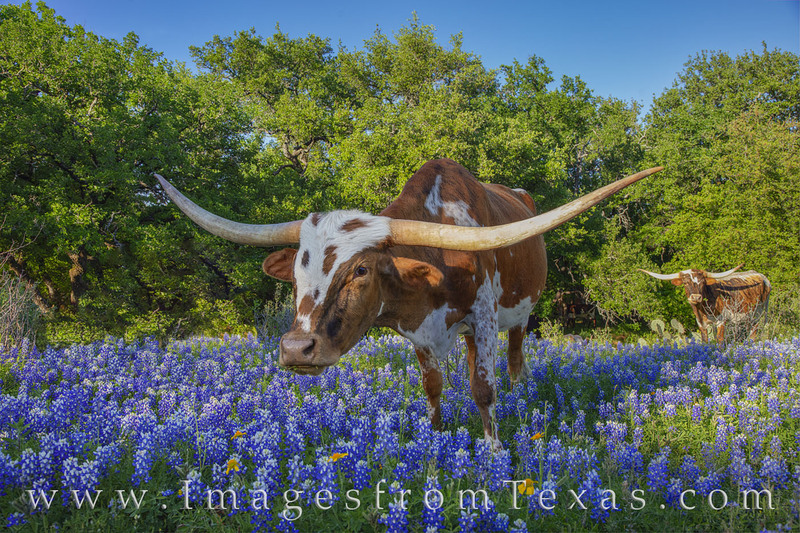 While driving along a dirt road somewhere in the Hill Country, I came across a small heard of longhorns grazing in a patch of April bluebonnets. Usually, these encounters involve the longhorns grazing a far away from the road, but this serendipitous encounter found me face to face (separated by a barbed wire fence) with several large Longhorns. They didn’t seem to mind. The calves in the group were curious, as well. This particular longhorn was unfazed by my presence as she continued to graze through this field of wildflowers. Photo © copyright by Rob Greebon.